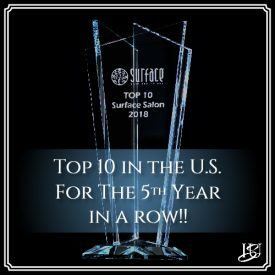 We have been recognized by the beauty industry’s most esteemed manufacturers as one of the premiere salons in the United States for eight years in a row! 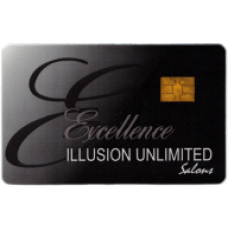 Illusion Unlimited Salons has been the home of ‘The “In-Balance” Design Consultation’ ™ for over forty years, and it’s been the key to our popularity. Our clients simply look great and feel better about themselves, and it gets them noticed! You are unique to everyone else on this planet, in every sense of the word. Not only are you unique in a physical sense, how you feel about yourself makes you even more original. When it comes to choosing your hair style, what you like and don’t like about yourself must be the determining factor for you to feel great and look your best. 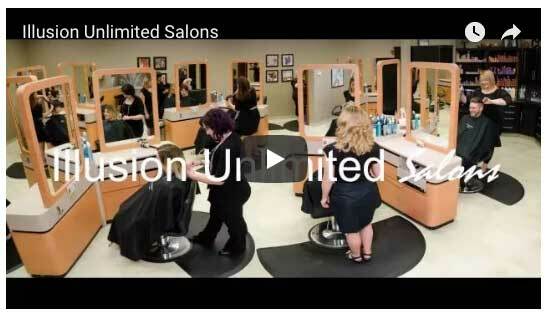 At Illusion Unlimited Salons, even twins deserve a full Design Consultation! For example, Client ‘Amanda’ is very tall and loves it. Client ‘Beverly’ is just as tall and hates it. Because of how they see themselves, they have very different options with their hair designs. At Illusion Unlimited, you’ll receive a balanced hair design personalized in a special way just for you. In addition to being the recognized experts in hair design, our approach guarantees you’ll receive a great looking haircut that fits who you are—the person you are today! You cannot get this anywhere else. As we are committed to offering you the best possible service, online appointment requests are available to you 24 hours a day, 7 days a week. To request an appointment today, click the appropriate button below. * PLEASE NOTE: Your appointment IS NOT completed until we contact you back to confirm! Accepting Visa, MasterCard, Discover and now American Express for your convenience! I followed my hairdresser to Illusion Unlimited because I love the way she highlights my hair. Illusions has been friendly and fun from the very first visit. Other salons I have been to hairdressers have been very reluctant to allow their clients to talk to other stylist for fear they will lose their client not here I have gotten great advice and tips from Illusion Unlimited stylists especially with products all personnel work together as a team to give clients the best service. Everyone is amazing and kind, especially to my aged Mom suffering from Alzheimer’s everyone at Illusion Unlimited makes my Mom feel special. Don’t settle for a mediocre salon experience. Go to Illusion Unlimited! This was my first time going to a new stylist in about five years. I am so pleased with my cut the style I received. The staff was very professional. I will definitely make this my hair home and recommend this salon to everyone! 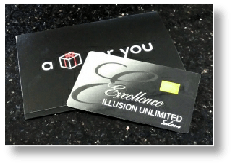 It’s a pleasure for me to recommend Illusion Unlimited! I have enjoyed many years of excellent hair and nail care. 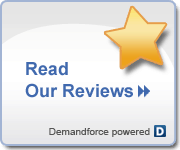 Thank you to the staff for providing a consistent high standard service! I always enjoy visiting Illusion Unlimited. The staff is friendly and they provide great service. For expert color and styling, manicures and pedicures, Illusion Unlimited is the best!